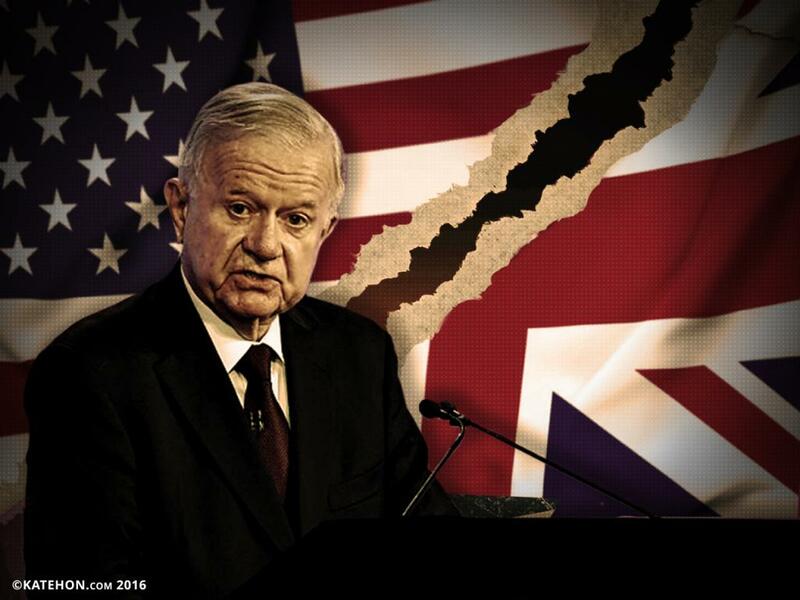 In the UK, the official report of the government commission headed by Sir John Chilcot on the Iraq war was published. The Chilcot inquiry demonstrated officially that the UK’s invasion of Iraq was conducted under US pressure and was contrary to the national interests of the country. The Chilcot inqury notes that there was no real reason for the invasion in Iraq. In the inquiry's view, diplomatic options had not at that stage been exhausted. Sir David Omand, the Security and Intelligence Co ordinator in the Cabinet Office from 2002 to 2005, told the Inquiry that, in March 2002, the Security Service judged that the "threat from terrorism from Saddam's own intelligence apparatus in the event of an intervention in Iraq ... was judged to be limited and containable ". Saddam's "capability to conduct effective terrorist attacks" was "very limited". Iraq's "terrorism capability" was "inadequate to carry out chemical or biological attacks beyond individual assassination attempts using poisons". Britain did not consider Iraq as a threat to its national security. The report confirms that the UK intelligence community presented the Prime Minister with all the necessary analytics about the consequences of the decision to invade Iraq. In particular, it was noted that the overthrow of Saddam Hussein could lead to a sharp increase in Islamic extremists, transforming the kingdom into a priority for their purpose, mass casualties, and the fragmentation of Iraq. the Muslim world, including among Muslim communities in the West. And there is a risk that the transfer of CB [chemical and biological] material or expertise, during or in the aftermath of conflict, will enhance Al Qaeda's capabilities. " The invasion was based on deliberate lies and manipulation of public opinion. Sir John Chilcot declared while presenting the results of inquiry that the UK’s policy was based on "flawed intelligence and assessments," they were not challenged and they should have been. " On 18 March, Mr Straw decided that a paper on Iraq should be issued before one addressing other countries of concern. On March 22, Mr Straw was advised that the evidence would not convince public opinion that there was an imminent threat from Iraq. Publication was postponed. Concern that vital areas of co operation between the UK and the US could be damaged if the UK did not give the US its full support over Iraq. The belief that the best way to influence US policy towards the direction preferred by the UK was to commit full and unqualified support, and seek to persuade from the inside. Thus, officially the main reason for the British invasion of Iraq was the dependence on the United States by the United Kingdom. The Commission does not oppose a pro-American orientation, but contrary declaratively supports it. However, it noted that relations with the US "do not require unconditional support where our interests and judgments differ," said Chilcot. Formally, the Chilcot inquiry should have been made public seven years ago. Its publication was postponed several times because of the position of the United States. And now it became public. Thus, it reflects the decline of US hegemony: the most loyal ally - the UK - the last two years shows that the collapse of the US-based system is a question of time and prepares for a new world. The publication of the official report, the commission established by the initiative of Gordon Brown's government, in which the argument of the opponents of the invasion of Iraq 13 years ago (primarily Russia) is openly repeated, became only possible in one case - if a part of the British elite is eager to distance themselves from the United States, their policies, and those inside the elite who have too close ties with the United States. The fact that in the UK there are those who look towards a post-American future demonstrates the tight integration of the owners of the British Rothschild finance with China, and Britain's decision to participate in the Chinese project of Asian Infrastructure Investment Bank, contrary to the will of the United States. This is also evidenced by the results of the referendum on EU membership. Brexit and the honest counting of votes would not have taken place without the support of the elites. At the same time, the US openly opposed Brexit. Now the UK referendum and the uncertainty after it freezes the establishment’s Transatlantic Free Trade Area. At the same time the United Kingdom is excluded from the negotiations on the agreement the entire time it is still in a state of transition. Paradoxically, the United Kingdom has consistently implemented steps to turn it away from the US-centric world. However this does not reflect the whole picture, officially it is the biggest American ally, but it seems to be an important trend. The most plausible explanation is the desire to be buried under the rubble of the American empire. It should be recalled that the United Kingdom voluntarily became a satellite of the United States, handing to the Americans the role of the Sea Power. So nothing will prevent it from leaving the US when it deems it necessary. The weakening of the United States is the introduction of new rules of the game. And these rules are best created when the process only becomes irreversible. And changes in Britain demonstrate this irreversibility. Brexit, and the very course of the discussion around it, the ambiguous position of London in relations between Washington and Beijing, and now the report on the Iraq war, which may be followed by the trial of Tony Blair, gives London an array of new opportunities to influence policies in Europe and globally. Who are the Sadrists and what do they want?